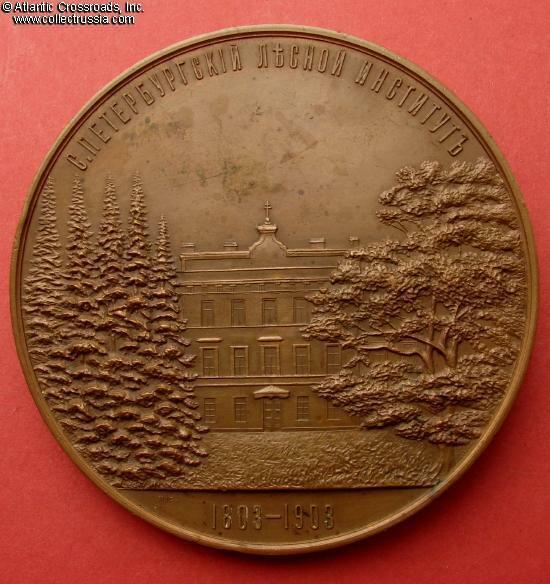 100th Anniversary of the Forestry Institute in St Petersburg 1903 - Table Medal in Bronze. 76.4 mm wide; weighs 214.0 grams. 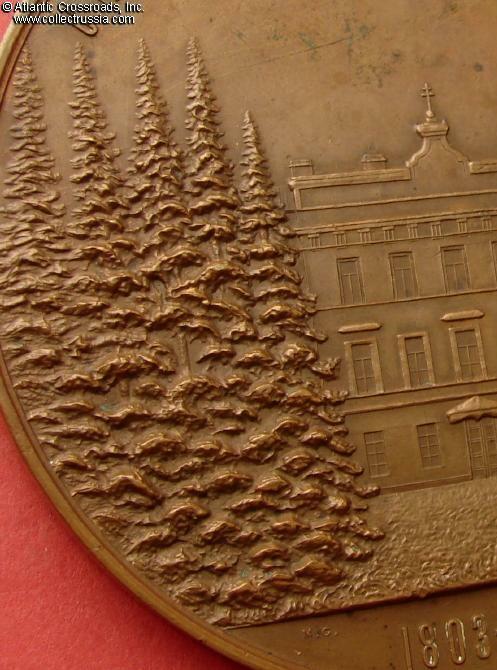 Engraved by Skudnov. 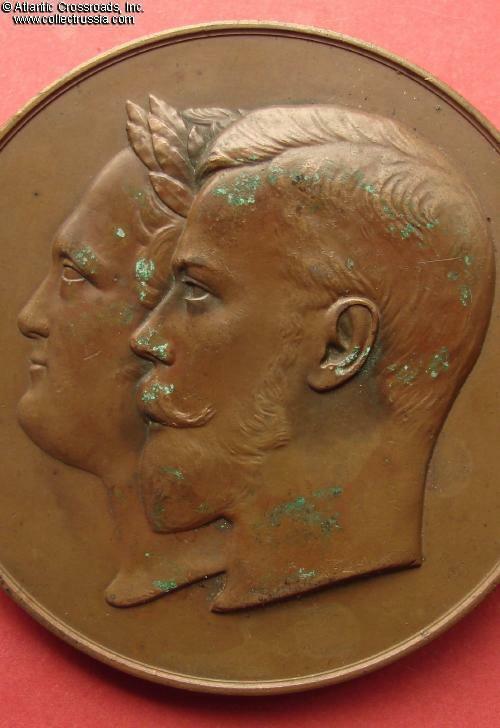 Obverse shows the conjoined portraits of Alexander I and Nicholas II with their names. 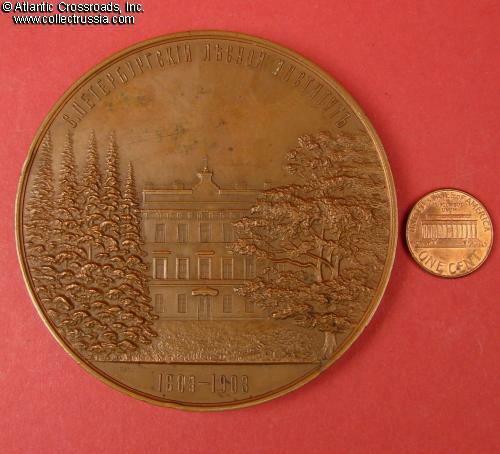 Reverse shows the institute's headquarters building and the inscriptions "St. Petersburg Forestry Institute" and "1803- 1903". 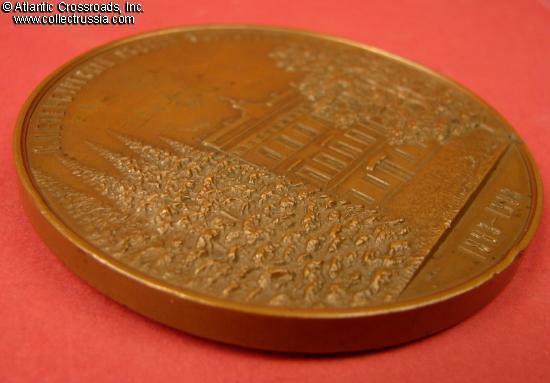 Very fine, with no edge knocks that would distract from the medal's presentation. 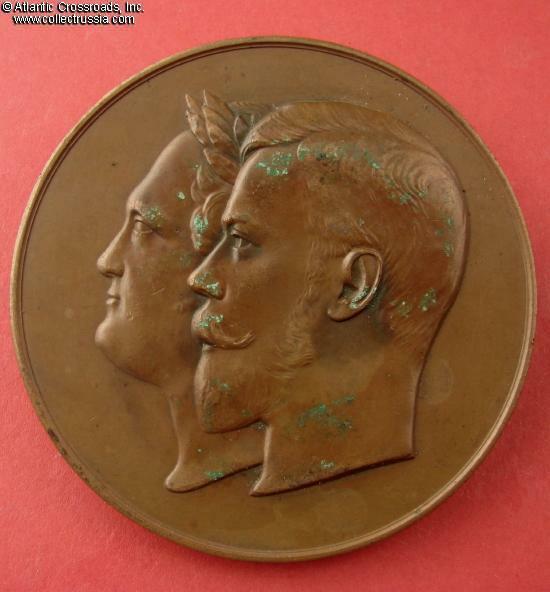 The relief on the trees on the reverse is particularly attractive; A few of the high points on the faces of the emperors show green discoloration which may or may not be removable without having to bring the whole medal to a bright polish.